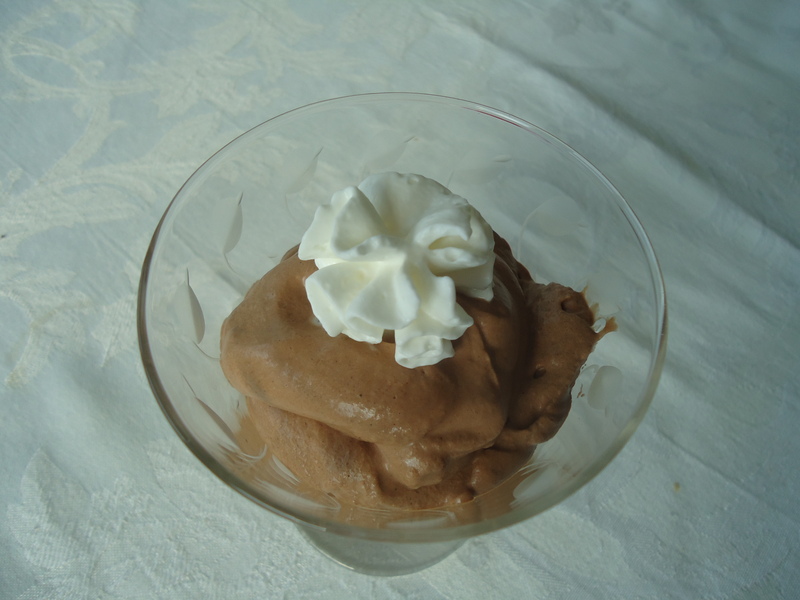 Chocolate mousse is one of my favorite desserts. I often serve it as dessert after Christmas dinner because it’s light and perfect after a heavy meal. I originally got this recipe from the Hershey’s website but I can no longer find it there. None of the mousse recipes there now are this easy. I use Baker’s Unsweetened chocolate. They are individually wrapped in one ounce portions. I use a serrated knife to “chop” the chocolate rather than breaking up those smallish bars. Much easier. Don’t rush the melting process and use fresh chocolate. If you melt the chocolate too fast, it could seize up on you and you can’t recover that mistake. You will need to start again, so just be patient. Melt chocolate with sweetened condensed milk in heavy saucepan over medium-low heat. Once melted, stir in vanilla. Pour into large bowl and cool to room temperature, about 1 1/2 hours. Beat until smooth. In a large mixing bowl, beat whipping cream until stiff peaks form. Fold into chocolate mixture until whipped cream is combined. Do this gently so as not to flatten your mixture. Spoon mousse into dessert cups. Refrigerate until thoroughly chilled, about 6 hours. Refrigerate leftovers. This entry was posted in Company Worthy, Desserts, Entertaining, Holidays, Kid's Favorites, Mother's Day, Sunday Dinner, Valentine's Day and tagged chocolate, chocolate dessert, chocolate mousse, mousse. Bookmark the permalink.